NVIDIA, the leading manufacturer of professional graphic solutions has unleashed their flagship Quadro K6000 graphics card for the workstation market. After a long wait, workstation users would get their hands on a fully enabled GK110 based GPU that features large amount of cores and a huge memory pool enough to fullfill their computing needs. 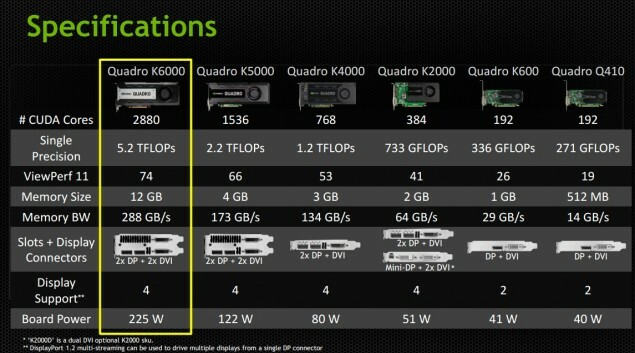 From a technical perspective, the NVIDIA Quadro K6000 Workstation graphics card is the first graphics card to get a fully enabled GK110 graphics card featuring 2880 cuda cores, 256 Texture mapping units and 40 Raster operation units that’s almost double to what’s available on its predecessor, the Quadro K5000 which featured GK104 core architecture with 1536 cores. Do note that the GK110 has far better compute performance since it’s primarily a computing chip rather a gaming one that GK104 was aimed at. 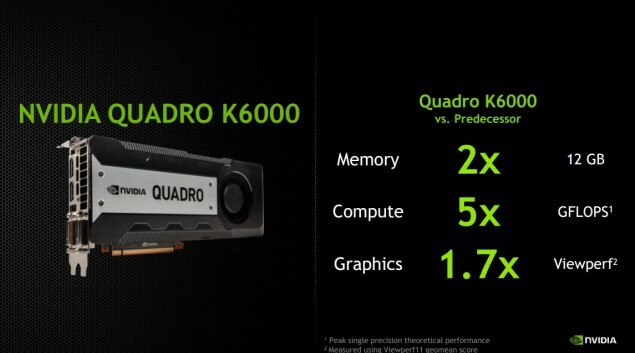 In addition to that, the Quadro K6000 also comes with 12 GB of GDDR5 memory operating across a 384-bit interface and churning out a bandwidth of 288 GB/s. These specifications are vastly impressive for a single chip based professional solution and might end up near to that of a dual chip solutions available on AMD’s Fire Pro lineup. Single precision performance of the card is rated at 5.2 TFLOPs. 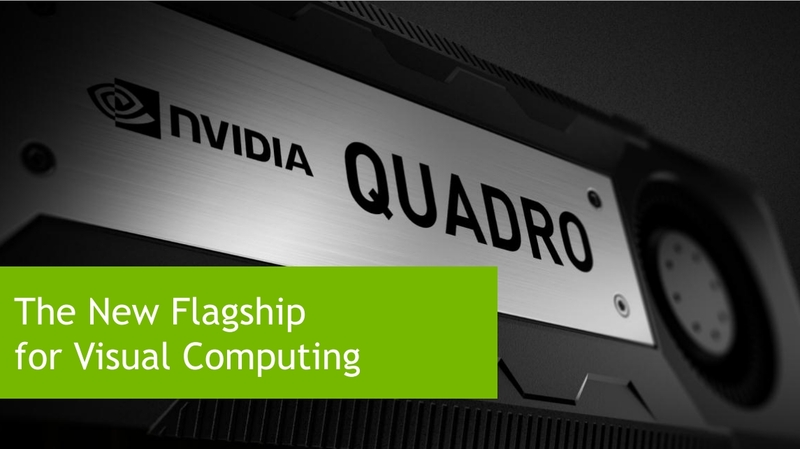 NVIDIA today unveiled the visual computing industry’s new flagship technology — the NVIDIA® Quadro® K6000 GPU, the fastest and most capable GPU ever built. 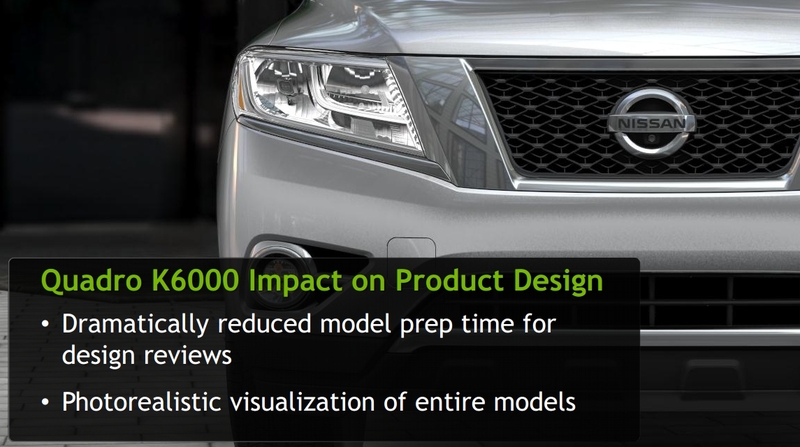 Combining breakthrough performance and advanced capabilities in a power-efficient design, the Quadro K6000 GPU enables leading organizations such as Pixar, Nissan, Apache Corporation and the Weather Channel’s WSI division to tackle visualization and analysis workloads of unprecedented size and scope. For more information about Quadro GPUs, graphics/visualization and market news, see the NVIDIA Quadro website. 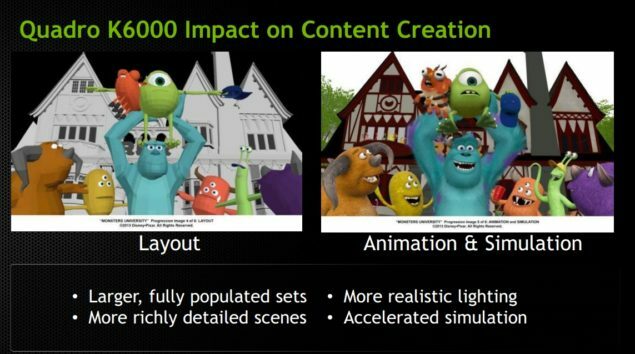 And follow us on YouTube and on Twitter@NVIDIAQuadro.